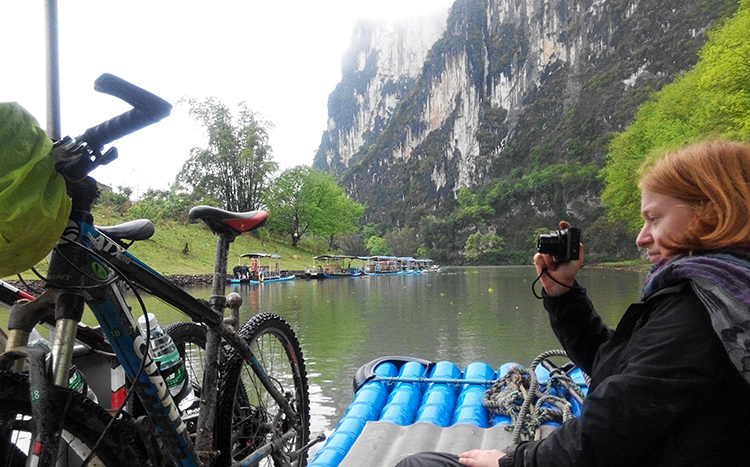 Tour Overview: A guided and supported bike + hike holiday from Guangxi to Hunan province in South China, including two of the most beautiful areas in this country: Guilin and Zhangjiajie. 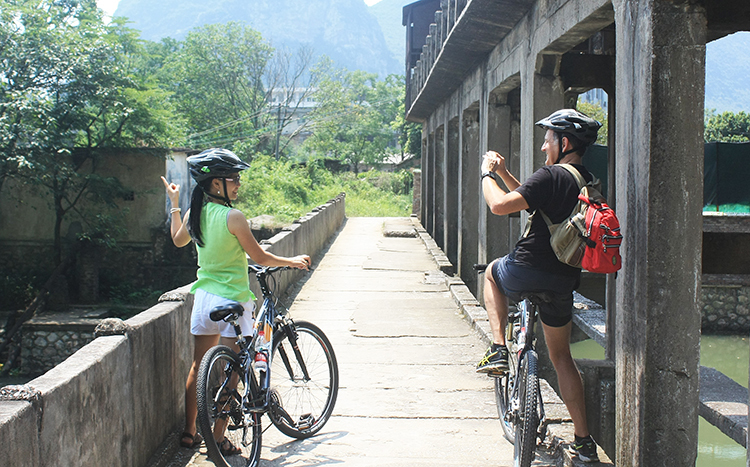 Cycling through timeless villages and stunning Karst peaks, travelers will firstly enjoy the cycling via the untouched biking paths to see the well-known Li River, unknown secret waterfalls, villages and biggest chain-cave of Asia, reservoirs and perfect mountain bike tracks in Guilin and Yangshuo, the splendid Longji Rice Terraces and then catching an overnight train to Hunan province, witness another miracle of the nature there. 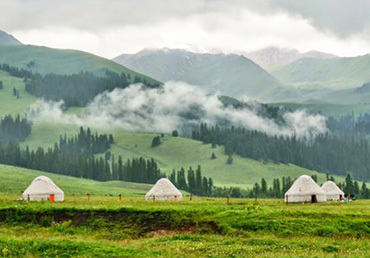 Two provinces, similar but completely different culture and views, the same joy of travelling on bicycle and on foot. 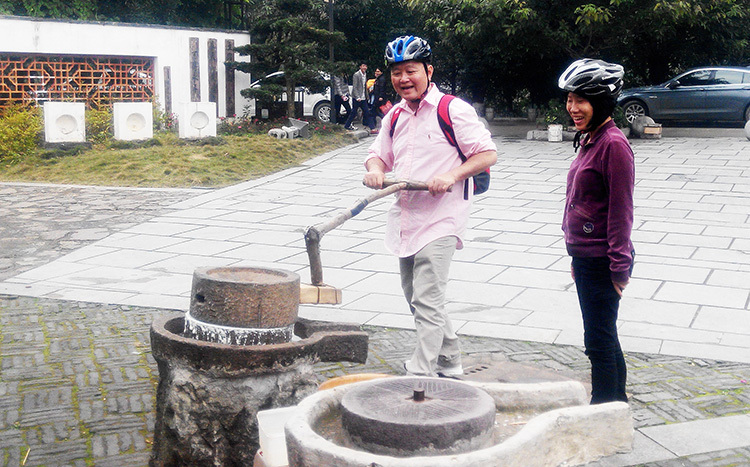 The best way to avoid the traffic and to experience the real Chinese life style. * Miao and Tujia minority cultural experience. Notes: The difficulty of this trip will be lowered if we choose to use the van to skip some sections of long climbs/undulating road, which allows those less experienced participants to better enjoy this tour. 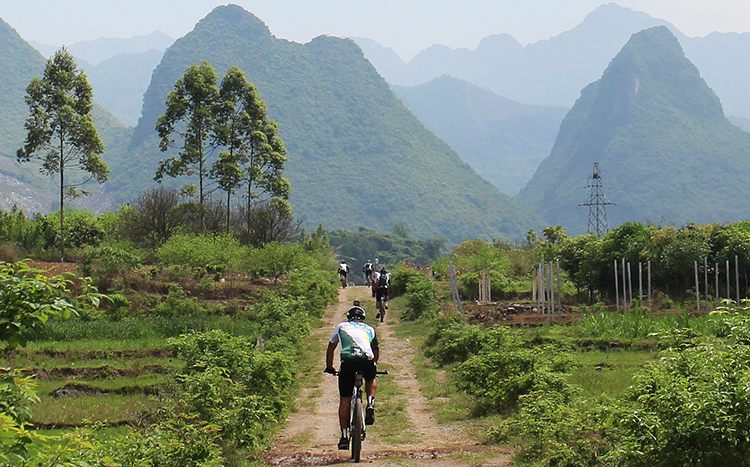 You will need to arrange the arrival flight on your own to Guilin city (KWL - Liangjiang International Airport of Guilin), if you do not arrive in the morning, you will miss the warming up cycle and adaption to our bikes today, we will start the cycle in the early afternoon. The distance we cycle today is around 30KM. 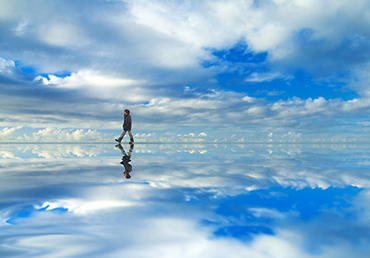 The itinerary today is very flexible as we also hope you have a good rest after a long trip to China. Transfer with our bikes for about 1 hour and start the cycle from peaceful countryside, the first part of today’s cycling will lead us through the greenway near Lingqu Canal to Xing’an county (It was the first canal in the world to connect two river valleys) and then continue our cycling to the hidden village where the biggest chain caves in Asia is located. We will have a 28KM flat with small undulating in the morning, and then another challenging 37KM through bigger mountain areas before arriving at our lodge. Dinner and overnight there. The biking today is of moderate level as we will head to lower altitude areas, lot of downhill are included today after the climbs and undulating in the morning, enjoy the meal at a real local market before catching our bike tour through Daxu ancient town and the special bike green way along the Li River to Caoping town, where you can have an option visit of the Crown Cave or enjoy a section of leisure walking on the greenway without interrupted by others.The cycling distance today is around 73KM, but not very challenging. We will get up early and take a small boat to the other side of the river and start our cycling. Therefore, we will have a later breakfast after that. 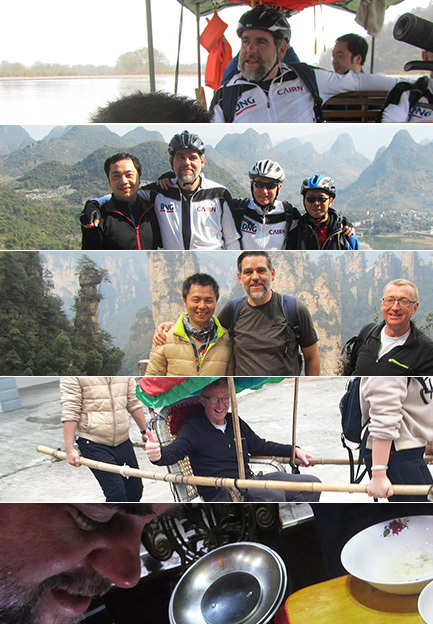 We will bike through mountain areas today in the morning and then the guide can show you more highlight scenery in the afternoon through the Dragon Valley around Yangshuo or more hidden part around it. 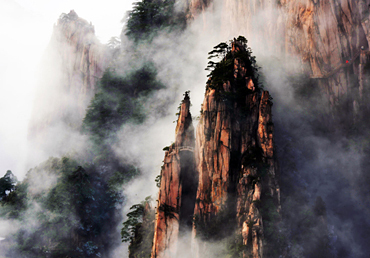 The optional evening lightshow at Yangshuo is very worthy for your money, so you can watch it tonight or the next day. The distance to cycle today is around 55KM and the difficulty is moderate. 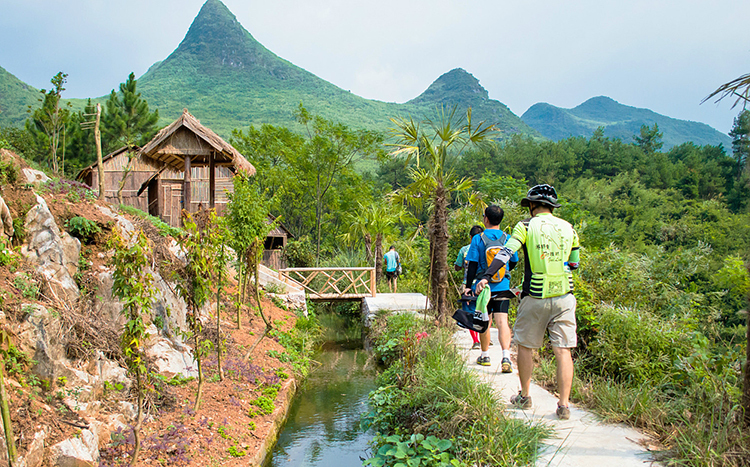 The route is very flexible today based on your wishes, we will have a 45-62KM bike trip and receive all the highlight views between Yangshuo and Xingping areas. 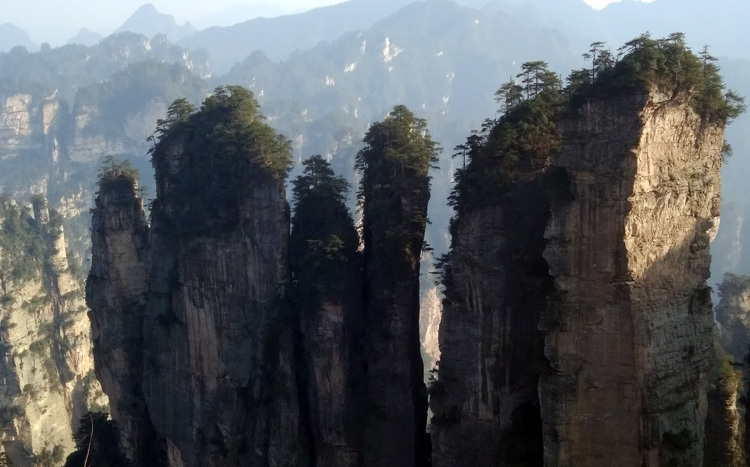 After the trip, our supporting van will drive us from Yangshuo/Xingping back to Guilin through another beautiful mountain areas full of Karst landforms. We will drive you from the other side of Li River back to Guilin city and complete the image of spelendid Karst langdform in your mind. 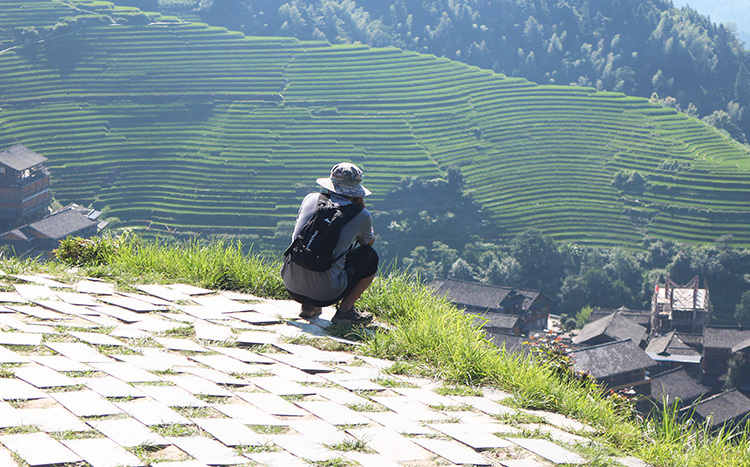 Drive from Guilin to Longji Rice Terrace Scenic Spot and then trek up to the mountain (around 2 hours on the van for transferring, and then we will trek around 9KM and using half day up to our hotel located in the mountain), take your time to take and save those pictures only available by trekkers and share them to your family. After another trek for about 2 hours seeing the views all normal-visitors taking photos, and then get down from the mountain, drive back to Guilin city, catching our trains from Guilin to Liuzhou and then another overnight train from Liuzhou to Zhangjiajie as there is no direct train from Guilin to Zhangjiajie.Tims is enough for today as the train leaves in late afternoon, so we will have a rest before taking such a long time being transferred on the train to Hunan province. P.S. 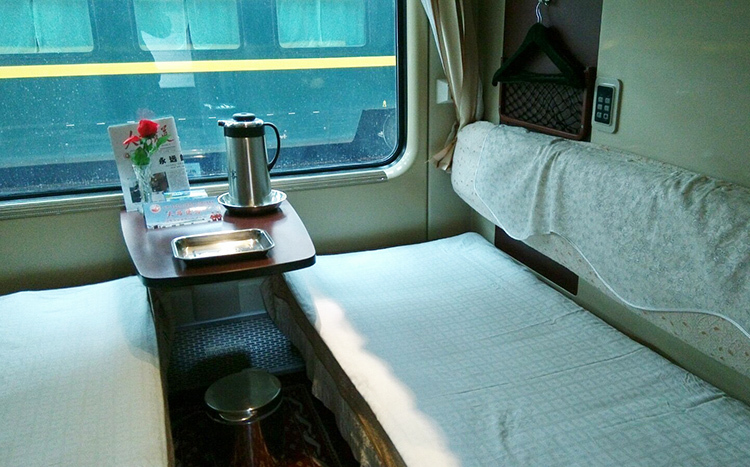 The train tickets and rail lines of Chinese railway company are not stable so it is possible that we will change some trains to better fit this itinerary. 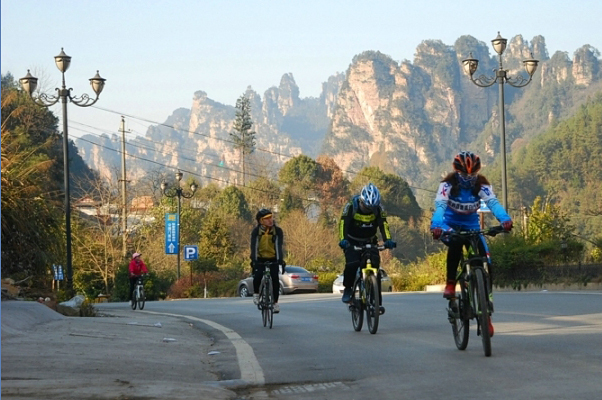 Arrive Zhangjiajie in the morning, check in hotel and get our bikes (we have a partnership bike shop there) and do a day cycling. Less than 40KM. 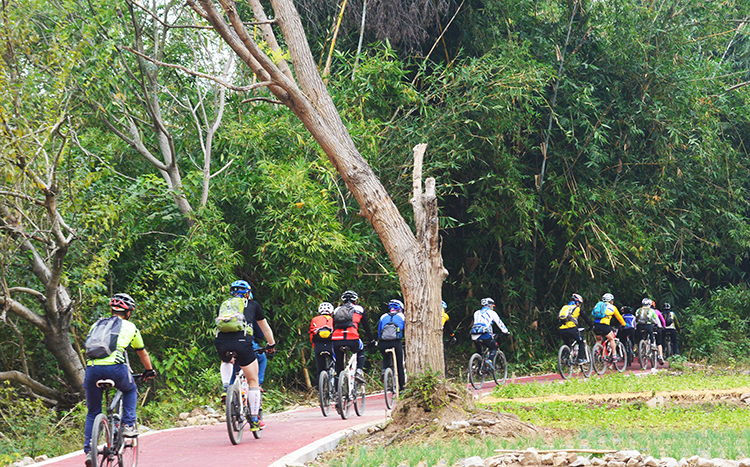 We will arrange a easy cycling today with transfers outside the busy city and roads with traffic. 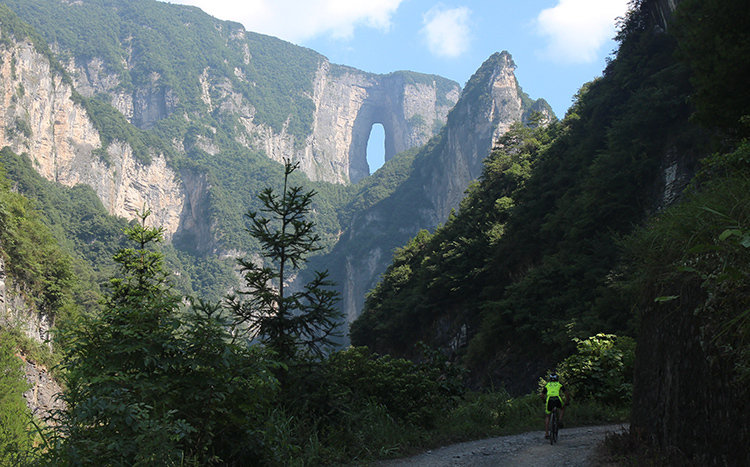 Those places we are going to bike are all symbolic scenic spot of Zhangjiajie. 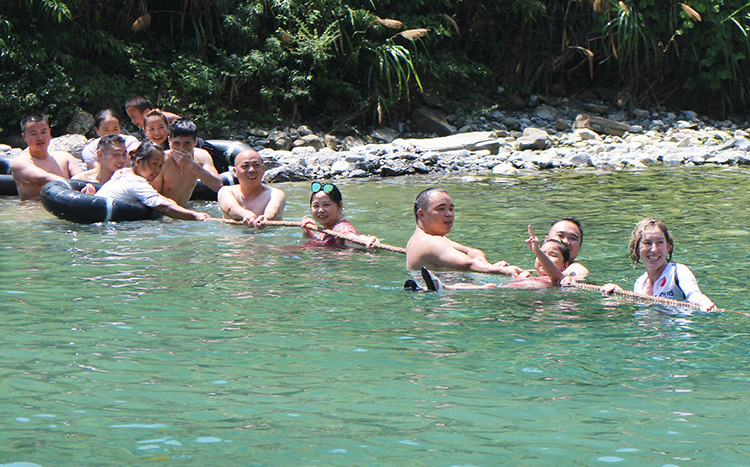 The fresh water and a swim with the local people and the traditional Hunan chili will wash away our tiredness from transferring from Guangxi province to Hunan. 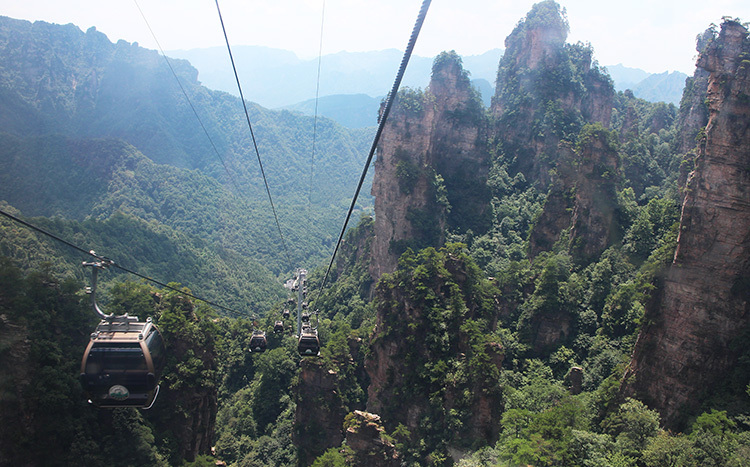 You will find Zhangjiajie is a amazing place for travel, as it is full of natural resources and easy to get tremendous fun from outdoor activities. The itinerary and the transfer today is full of leisure and amusement, after the cycling, the supporting van will help us again and drive us to a small village where local Tujia people lives, have a good dinner there and rest on the Wind and Rain Bridge, fall into sleep with colorful stories happened during these two days. We will have a warming up hiking today, before next two long day hiking. 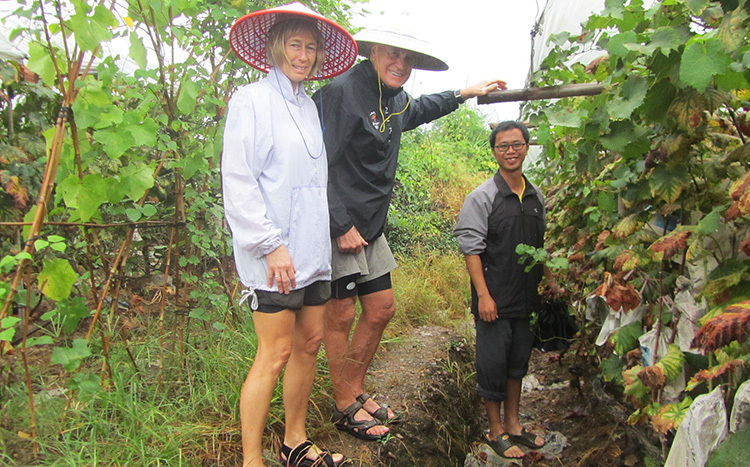 we will hike among the mountains and enjoy the peaceful walking path. Be careful the monkeys during we hiking,keep some distance from them. 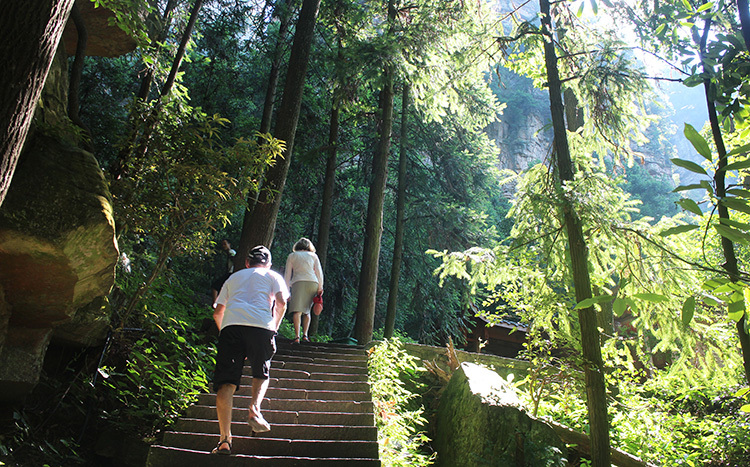 Transfer to scenic spot areas and then trekking the Zhangjiajie National Forest, overnight on the mountain is now prohibited so we have to walk down the mountain and rest at the hotel inside the scenic spot. Hiking another day and down from the mountain. 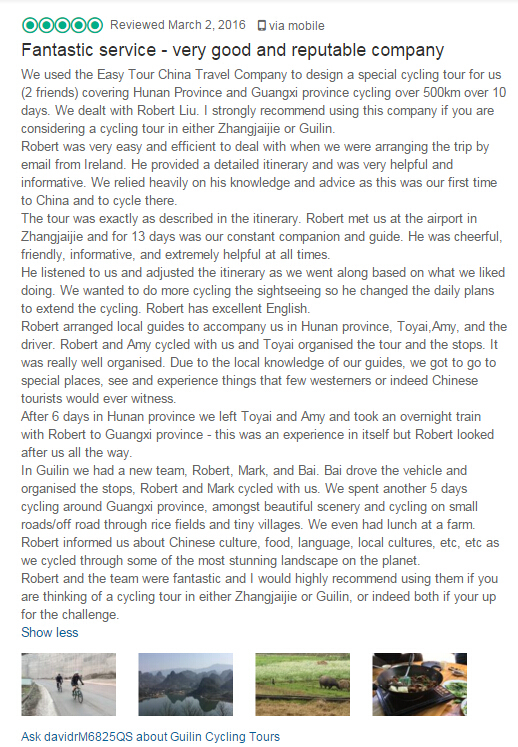 Service ends today with GuilinCyclingTours.We will transfer you to the train station and use the overnight train back to Guilin if you don't have own booked returning tickets.